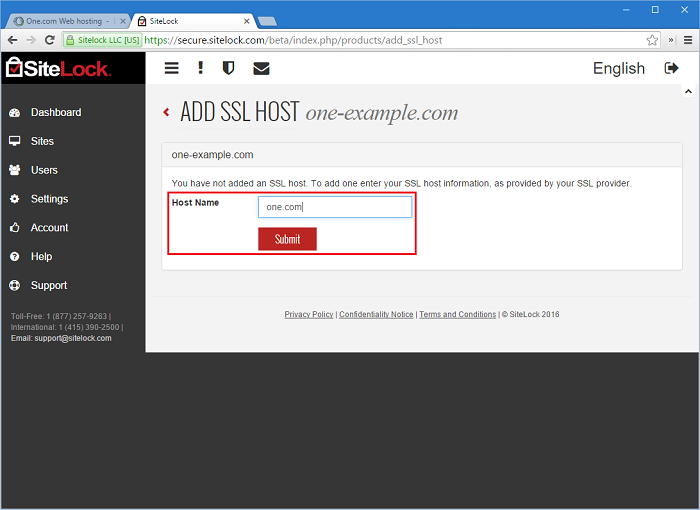 Login to your control panel and click SiteLock at the bottom of the page. 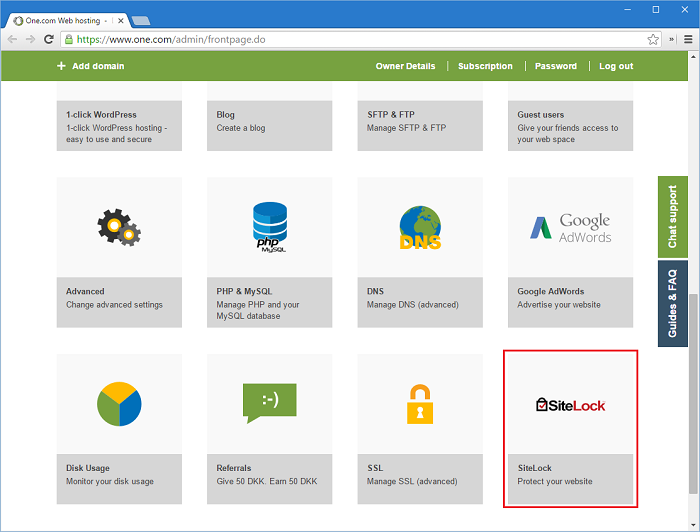 SiteLock Find detects malicious files on your website. You need to then remove or repair the malware yourself. 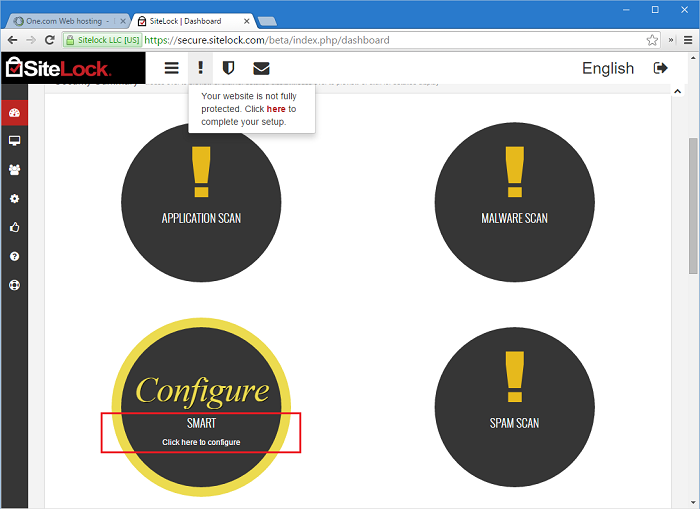 SiteLock Fix detects malware and also removes it. It also allows daily scanning of larger websites with many pages. 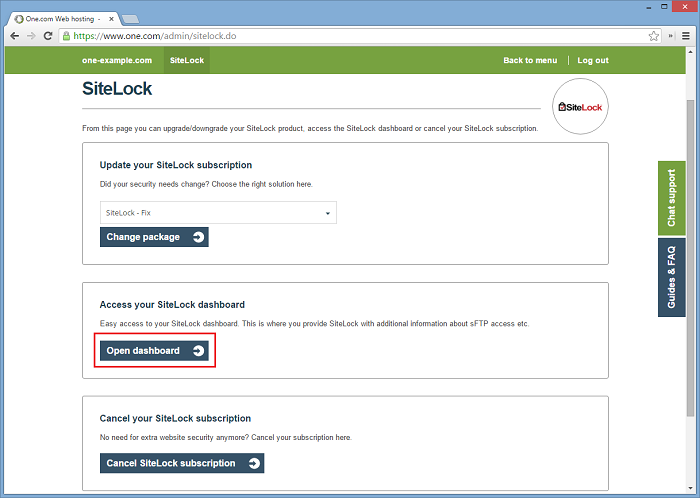 Note: You may have received an offer to try a basic version called SiteLock Lite, 6 months for free. 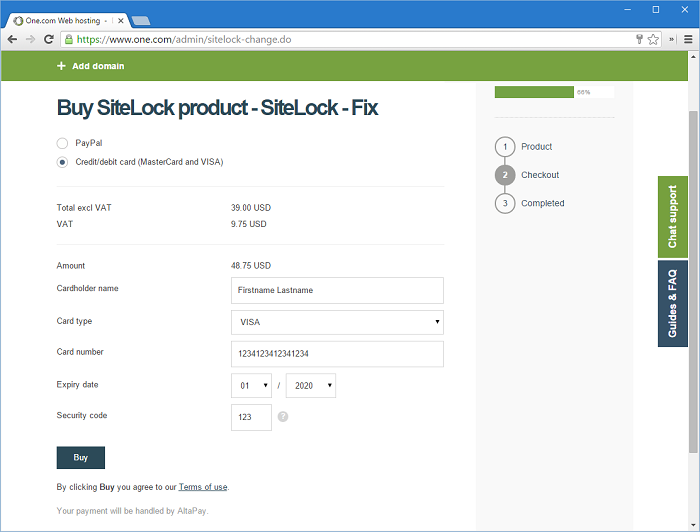 If you want to keep SiteLock after the 6 months trial period, you need to upgrade to SiteLock Find. Enter your payment details and click Buy. 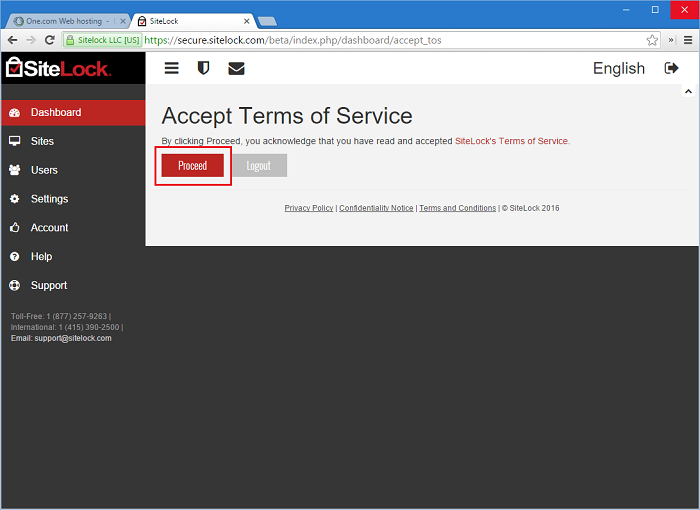 Click Proceed to accept SiteLock's terms of service. On the next screen continue to the Dashboard. If you signed up for SiteLock Find, you are now done. Just wait until SiteLock is finished scanning your website for the first time. 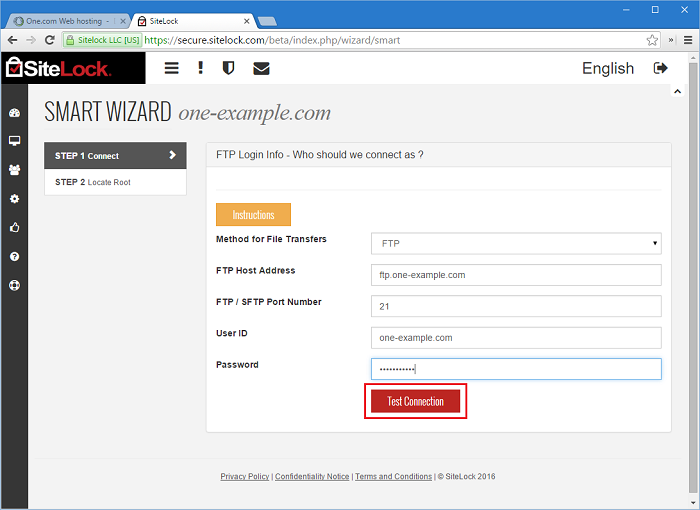 If you have chosen SiteLock Fix, you need to enter your FTP connection details. That way SiteLock can immediately fix any issues it encounters. Scroll down to the SMART tile and click to configure. Password = the password you chose under SSH & FTP in the control panel. Next you need to specify your root folder. If you log in via FTP your root folder is: /. Select the right folder and click This is it. Go back to the SiteLock Dashboard. Locate the SSL Scan tile and click to configure. 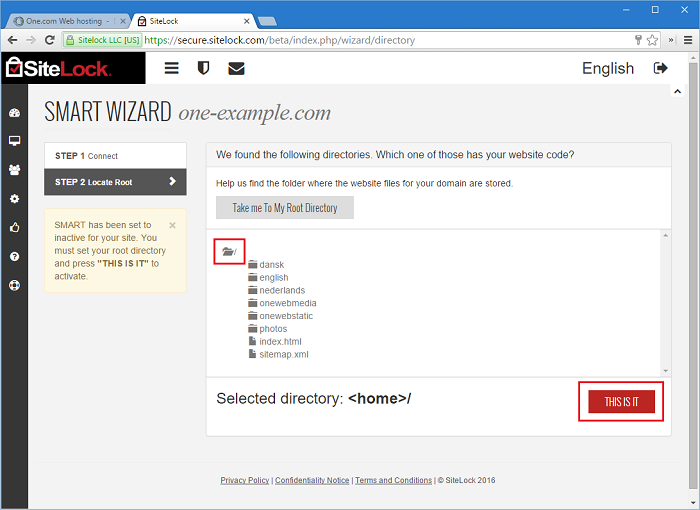 Enter one.com as host name and click Submit. 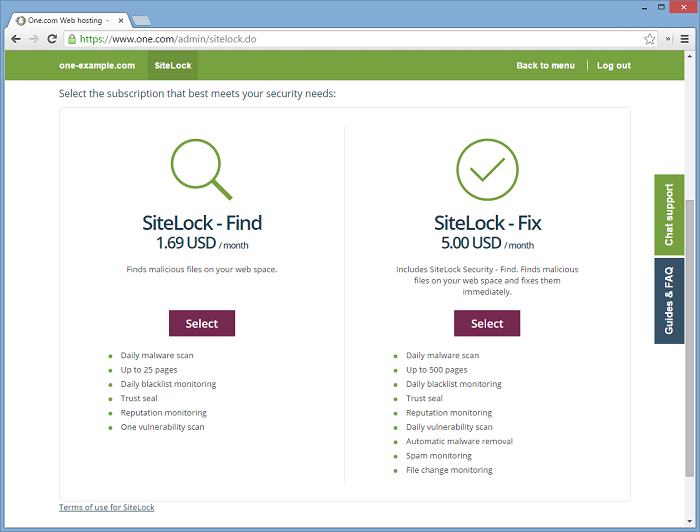 SiteLock will now scan your site for vulnerabilities and Fix issues it encounters. Keep in mind that it might take a while, up to 24 hours before all scans are done.